Originally published in 1938. 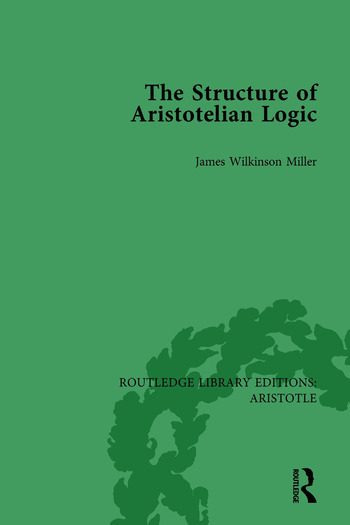 This compact treatise is a complete treatment of Aristotle’s logic as containing negative terms. It begins with defining Aristotelian logic as a subject-predicate logic confining itself to the four forms of categorical proposition known as the A, E, I and O forms. It assigns conventional meanings to these categorical forms such that subalternation holds. It continues to discuss the development of the logic since the time of its founder and address traditional logic as it existed in the twentieth century. The primary consideration of the book is the inclusion of negative terms - obversion, contraposition etc. – within traditional logic by addressing three questions, of systematization, the rules, and the interpretation.